A couple days ago we received our complimentary copy of the Jewelry Stringing Winter 2013 magazine with the winning designs of the 2012 Bead Star competition. 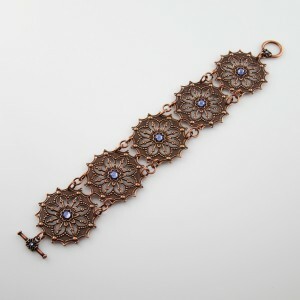 Ken’s design, the Arabesque bracelet (on the left), won the 1st place in the Metals category sponsored by the Rings & Things company. My design, Chinese Bouquet necklace (on the right), won the 2nd place in the Metals category, but only the first place counts and gets published :). I am so glad for Ken and very proud of him! Now we got to spend the gift certificate to get some cool tools! 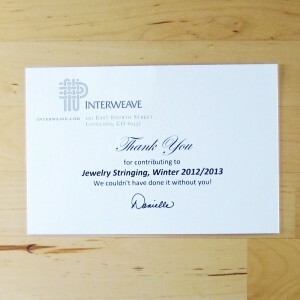 🙂 We want to thank Interweave staff, as well as the Rings & Things people for this interesting contest and, of course, for the gift certificate! 🙂 Thank you very much! Ken actually wrote illustrated instructions for the design, but due to the space limitations they could not include the illustrations. Here is one of them :). 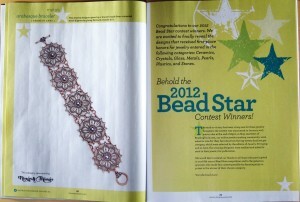 It is the first time Bead Star designs get published in the Jewelry Stringing magazine. Each design has detailed instructions on how to make it plus list of resources on where to get the components (text is blurred for copyright protection). Many designs aren’t only good-looking, but also fast and easy to make. 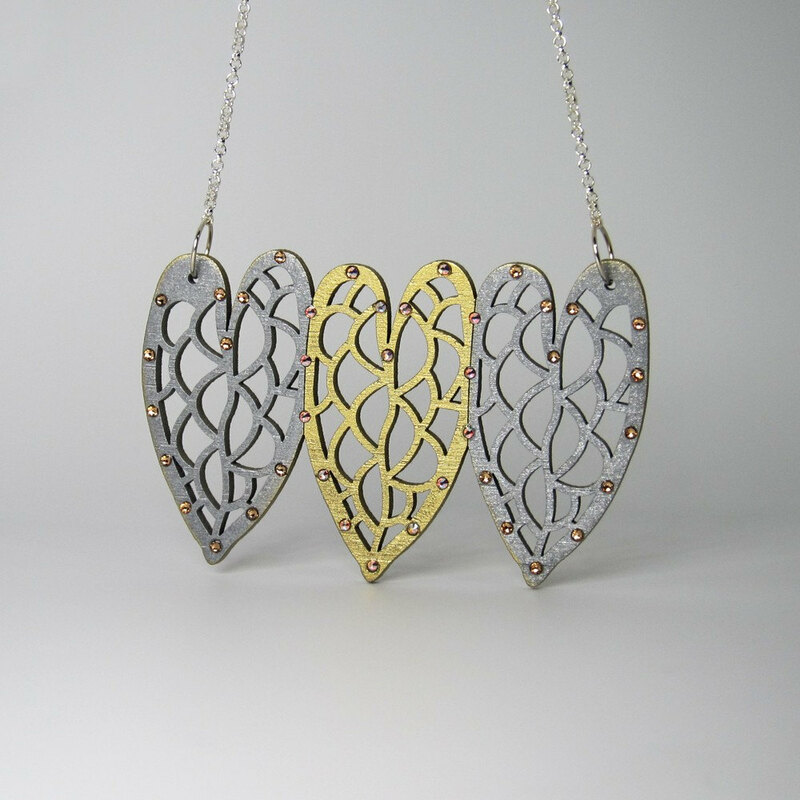 Wouldn’t you feel totally cool if you could make a statement necklace in 1-2 hours? 🙂 So, I do recommend getting the magazine – and not just because our design is in there. I’m actually going to make a few of the designs myself 🙂 They are great as gifts! You can get the magazine in print here or for download here. 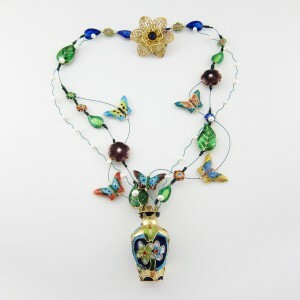 The submission rules for the 2013 Bead Star have been recently announced, so if you feel like fighting for the victory with your beautiful design(s), you can see them and enter the contest here. Good luck!